Madeline’s tenth birthday was on Saturday. Not long after her first birthday, I flipped ahead on the calendar and saw that her tenth birthday was going to be on a Saturday. Perfect for a blowout 10th birthday bash. Instead of planning a party, I withdrew into myself. I’ve been on autopilot for a while, without even realizing it. My head did what it could to protect my heart…but this milestone birthday hurt more than I ever expected. Double digits. Two hands. A decade. Sometimes when I think about the time I spent on bed rest leading up to her birth, it feels like it happened to someone else. In lots of ways, it did. I was a totally different person then, living a completely different life. This was the first year James had questions about Maddie. Where is she? Can we visit her? Is she still a baby? Why can’t I see her? Mike and I did our best to answer him. At one point, he let out a heavy sigh and put his face in his hands. “But I want to go to her birthday party!” I honestly thought the lump in my throat would choke me. Annabel was a sweet big sister to James, trying to explain things to him and comfort him when he was sad. I was so proud of her, but so angry that this is their reality. I should have a fourth grader here, making me crazy with her homework, activities, and sibling squabbles. What do fourth-grade girls like these days? What posters would she have on her walls? Would she have been into sports? Would she have wanted to join the choir at school? Every year brings new questions. Every year I hope it will get easier. It never does. We had our annual creme puffs on Saturday night. Maddie’s brother and sister each blew out a candle for her. After they went to bed, I cried in the shower. My heart aches for you. I lost my daughter at 10 months old. She would be 14 years old on tbe 24th of this month. Its been an eternity that feels like just yesterday. A hurt that numbs a bit but never heals. Hold your memories of your sweet maddie close and know that your family is in the thoughts and prayers of more hearts than you can ever imagine. I thought of all of you on Saturday. I’m just so sorry. You are a wonderful family for celebrating her birthday together. I am so sorry Heather and family !! This makes me so sad. I can’t imagine how hard it must be. Sending lots of love and strength your way. I’m so sorry for all of the ways that grief continues to hurt. Sending love and hugs. Oh sweet Heather. My heart aches for you. Happy Birthday to your beautiful first born. My daughter turns 10 in January and I feel like we’ve been spending these last 10 years with you, grieving and celebrating. Maddie was so special and I have no doubt she would be like my girl who right now is giggling in the next room reading graphic novels, covering her eyes during Stranger Things, loving on her pet, learning her 12 times tables, playing her first real sport and making me crack up 10 times a day. I’m sorry that was taken from you. I think about Maddie often. Ten is big. I have so many words; yet I have none. Love to all of you as you go through this. I never met Maddie but I think about her quite a lot and I wish she was here with you. Thanks so much for writing about her and sharing your journey with us. I wish I could send you strength or a good night’s sleep or something helpful but I can’t so I’ll just carry on thinking of Maddie and of you. Hugs to you and your family. I am thinking of Maddie. Ten is … glimpses of adulthood … occasionally cleaning something or loading the dishwasher because they see it needs to be done…. veering wildly between meticulous grooming skills and realizing they have dodged bathing for a week … knowing each time they slip and say Mommy it could be the last time … puberty knocking on the door … I wish our kids were ten together. It’s not right, it’s not ok. I’m so sorry and I wish the whole Spohr clan love and comfort. I think of you days leading up to November 11th and especially on November 11th. I truly have no words that will comfort, heal or settle your heart, your mind, your body, your spirit from such a devastating loss and the anniversaries that follow thereafter each year. Madeline will forever be a special part of our lives and even though we never met your beautiful, sweet girl, she will NEVER, EVER be forgotten!!! I am sorry and send you loving thoughts of comfort and peace. Nothing will ever ease or erase the unfairness of Maddie not being here on each birthday. And the “milestone” ones are especially hard. None of us will ever forget her. You’ve done SO much good to honor her. Her little sister and little brother are amazing and carry her in them, just like you and Mike. Be gentle with yourselves. We all love and miss Maddie right along with you. I thought about you all weekend, Heather. It’s unfair and wrong and this shouldn’t have happened. I wish I had words to say how heartily sorry I am for Maddie’s loss. People think grief gets easier. They don’t realize that it comes in waves and some days are bearable and other days, like the one you experienced, are gut-wrenchingly horrific. Big hugs. Gosh Heather, I found your blog soon after your sweet Maddie’s passing. I hate all of this for you and anyone suffering such tragedy. I so wish it were different. I very much appreciate you sharing with us all these years. Thinking of you all, I know we’re just internet strangers but your Maddie has impacted me and so many others. My heart goes out to you over and over again. Thinking of you and your family. 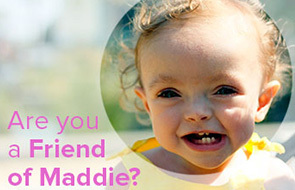 Your Maddie is not forgotten. I’ve been thinking of you while avoiding reading this because our family was observing “He should be 8” this weekend. I know your heart is always aching for your Maddie Moo…how you only wept in the shower on her birthday is a wonder to me. I love that you still celebrate with cream puffs. Sending you all love…some tears too. You will soon know what a fourth grader will be doing, I don’t go to the what if’s, the maybes… because it is counter productive to me. Everyone does their thing when grief comes in like the tide. Showers help to wash it all away and keep us moving…. Oh Heather – 10 is such a horrible hard milestone. I might write this every year but I always seem to forget that Sawyer’s birthday was so close to Maddie’s. Sawyer’s 8th birthday would/should of been 11/17. Missing them all every day but some days are just harder than others.